How was this image produced? 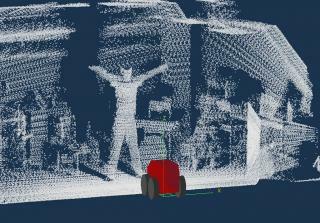 The image was produced by the laser rangefinder on one of the robots at a lab in Oxford. What are you going to do with your list of Oxford blogs? I am leaving it online, but updating it very rarely (only when someone makes a request, or when I feel like purging abandoned blogs).